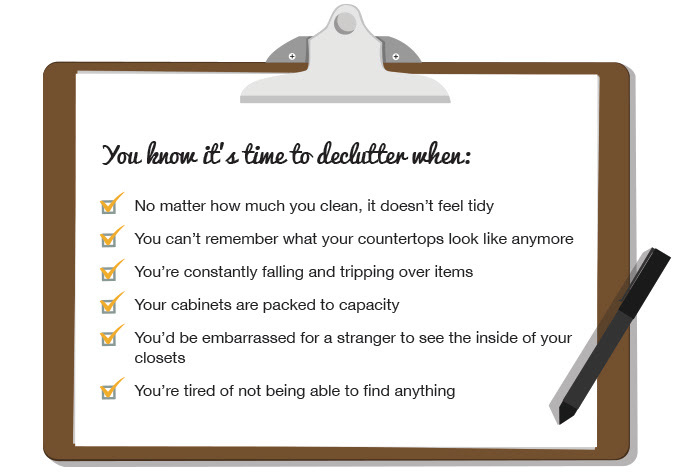 Sometimes the idea of decluttering can be just as overwhelming as the clutter itself! So we put it off until things get way out of control. Hours spent sifting through piles turn into days spent in front of your garage while “window shoppers” poke through your belongings. But we have some good news: It doesn’t have to be that bad. What if you could make $500 to $1,000 (or more!) for all that stuff overrunning your home… without ever having to leave the house?? For simplicity’s sake, focus on one area at a time. Let’s start with your children’s clothing. If you have both boys and girls, start with one gender. Go through your child’s clothes and pull out all of the items that: (a) are still in good condition, and (b) you no longer need. Be honest about what your child isn’t wearing anymore. On a clean surface, lay each piece side by side (they can be slightly overlapping), and get a group shot of the items. People often buy more than one size of clothes so you may find a buyer looking to take an entire lot off of your hands. Then, take individual shots too. You’ll want your images to look as enticing as possible, so keep unrelated clutter out of the frame. List these items on a local buy and sell site, like VarageSale. Check out comparable listings to get an idea of prices, and be sure to highlight any brand names you are selling. Repeat for every area in your home. You’d be surprised by what people are looking for. Do you have a vacuum cleaner that you never use? A blender that’s still in the box? A collection of Beanie Babies? Extra sets of sheets? It can’t hurt to list any or all of your unused items, especially if you recoup some of the money you spent buying them! Just an hour of sorting, taking photos, and listing can reap huge rewards, so go for it! Turn that clutter into cash.